Amazing DS sales force Nintendo to reconsider plans for new handheld system. DSi is here to stay! Gamers waiting for the true successor to the DS system might be waiting a bit longer than once thought. According to an IGN news article, Nintendo had already completed work on the new handheld, but given the rampant success of the DS system over the past few years, they've decided not to release this new portable game system. "In the history of Nintendo there are several such examples," Iwata told CNBC in an interview, picked up by Edge Online, "But when we are launching new hardware, the most important is thing is to sustain the momentum. 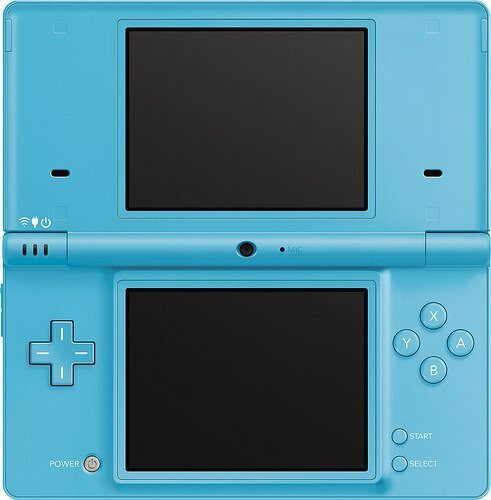 If introducing new hardware won't do anything to do that, well…"
This of course comes as no real surprise given the incredible sales success of the DS system, especially considering the DSi is basically the second upgrade of the same portable game system. It looks like the DSi is here to stay for awhile, which will at least be a comfort to those who've invested in the system already. It also might provide a good excuse to anyone that hasn't yet bit the bullet and purchased one of the new systems. doesn't bother me at all...let me be the FIRST to express my approval of this move. As I noted elsewhere, it seems that Sony is following a vaguely parallel strategy with the incrementally improved new PSP that drops UMD (akin to dropping GBA slot, sort of?) and that focuses on downloadable content. Both companies would seem interested in turning towards the future -- downloadable games, etc -- but without losing their entire base by jumping to a completely new platform. Then again, I'm sure there's a great deal of difference between their strategies as well, as I admit to not really knowing all that much about the new PSP or what it entails. I suspect it was more of a slight variation on the current system than either something entirely new or something that was a whole generation more powerful. I'm happy they are giving both the DS and Wii the time they need to mature as platforms. "Nintendo’s global president Satoru Iwata says the company did have another handheld gaming system complete at one point in the past three years, but ultimately decided not to release it. “In the history of Nintendo, there are several such examples," he says. "But when we are launching new hardware, the most important is thing is to sustain the momentum. If introducing new hardware won’t do anything to do that, well…"
So, it was cancelled sometime in the past several years, in favor of the DSi, but nothing indicates that it was cancelled after the DSi release due to sales or any other measure of the DSi's success. In fact, it seems to me that Iwata's statement that "the most important is thing is to sustain the momentum" may simply be aimed at the fact that they realized in recent years how big the DS's momentum has been overall, and didn't want to jump to an all-new system when they could be more iterative and bring users along slowly -- which is also what he says about the prospects for a Wii replacement, iterative is better for them right now (probably just referring to Motion+ and other extensions). Not suprising. Its a good move for Nintendo to hold it back. The DS is still going strong, and there's still a lot of potential untapped in the system. Besides, we still have awesome games like Golden Sun DS in the waiting. Good move, Nintendo. Thanks WariosWoods, I got that other piece from another news mention and you're right, I believe Iwata was talking on a several year basis. Fix'd. Well, the DSi will give them plenty of time to improve the new system, won't it? 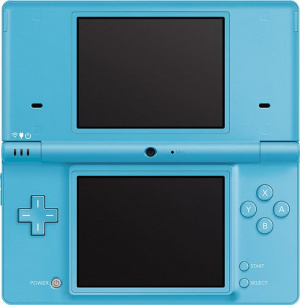 maybe it isnt a new DS, the DSi is good enough.. Awe man. i just got my DSi. I'm fine with this for several reasons. Firstly, I got a DSi the day it came out, so that could have potentially been money wasted. Secondly, another console, another high priced piece of hardware that I'd struggle to afford the cost of. Thirdly I don't think it's the right time to release a completely new handheld console. Probably best for most companies not to release any completely new consoles right now due to the current economic climate. I'm also glad they didn't announce this and then drop the bomb on us by telling us it's been cancelled, as there would almost certainly be a lot more hate or disappointment with Nintendo. Never mind the SP, they released the Micro even though the DS was out at the time. Look what happened there, it bombed. It seems a bit like Nintendo wasn't quite expecting the level of success from the DS that it's garnered. Of course, how many expected the DS to be quite as big a sales record breakers as it's been? And DSi looks to continue the success for the next couple of years. I may reconsider not getting a DSi now. While I assumed this would be what they'd do, them actually saying it is good additional reassurance for me to get a DSi. Also, remember when they said the DS would be their 3rd pillar, and wouldn't compete with the GBA or console? Whatever happened to that? You honestly didn't believe that when they said it, did you? If you did I have some beachfront property in Arizona I can sell you cheap. Well, that was before the DS took off into the stratosphere. Realizing that Nintendo simply left the GBA on the wayside. It's a good thing, too. I thoroughly enjoyed the GBA, but I really love the DS. Game Boy: The Game Boy Color added full color. Game Boy Advance: Game Boy SP had rechargeable batteries (Which the Wii should have from the start, otherwise, I wouldn't have to pay for batteries every day when I just got it, good thing Nyko gave us an rechargeable solution) and set the basic foundation for the DS by letting you close the console. So this should be no surprise. That explains a LOT about why the DSi was so rushed. If I read this news right, basically Nintendo had a completely new platform ready. Someone (probably Iwata-san) looked at the DS market and said "no, we have to continue supporting that". So instead, Nintendo pushed through an upgrade to the DS rather than a new system. Of course, that still leaves the question of external market pressures that forced the deadline. Nintendo never struck me as the type to be overly concerned about artificial boundaries on "generation". Perhaps they were concerned about something Sony or Microsoft was working on? Time to milk the DS for all it's got! Yea,the economy is at the bottom of the Grand Canyon now, so I'm not surprised by this decision at all. People love it and it has to be cheap to produce. All of the big video game companies are doing the exact same thing for their systems too. Sony has it the worst with the cost of the PS3. It's expensive to make and sell. Judging by this comments section, it sounds like the dropped hardware would have been "The 3rd Pillar", or in other words the direct successor to the GBA and console that would do battle with the PSP. I think the original intention was the DS to be a console to try out new things (e.g. Nintendogs, Kirby's Power Paintbrush etc. ), while Nintendo releases a new, more powerful Game Boy to compete with the PSP. As it turned out, the DS wiped the floor with the PSP on release, and the new Game Boy was put on hold, and eventually scrapped. Well, I'm still happy with my DS Lite. I may get a DSi eventually but as for a new system entirely I really don't see any reason for them to release one right now. The system has lots of good games already and plenty more planned. No need to change hardware yet, right? DS has been a very good console, its catered for us traditional gamers, while expanding the gaming audience with its so called casual-gaming approach. Look at it this way: at least your DS systems won't be obsolete for a while.